A number of new smartphones have launched recently, these have included the new Google Pixel 3 XL, the iPhone XS Max and the Samsung Galaxy Note 9 and more. 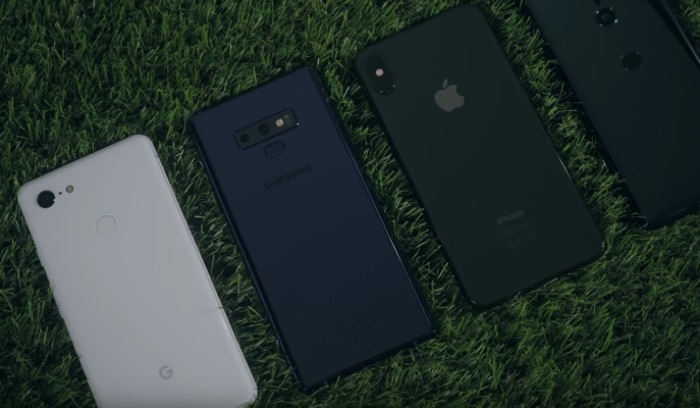 Now we have a smartphone battery test video from Mrwhosetheboss which tests the battery life of the Google Pixel 3 XL, iPhone XS Max, Samsung Galaxy Note 9 and the Sony Xperia XZ3. all of the handsets are run on similar settings. As we can see from the video video the Sony Xperia XZ3 drained its battery first, it was then followed by the Pixel 3 XL and then the Samsung Galaxy Note 9. Apple’s iPhone XS Max lasted the longest in the test, although it lasted around 10 minutes longer.